Whether you’re a business owner or an individual, chances are you use a smartphone, laptop or desktop, which means you are at risk for having sensitive information compromised. Cybersecurity experts have revealed that the large majority of smartphones and computers contain a flawed chip that gives hackers the potential to access sensitive information stored on your device. 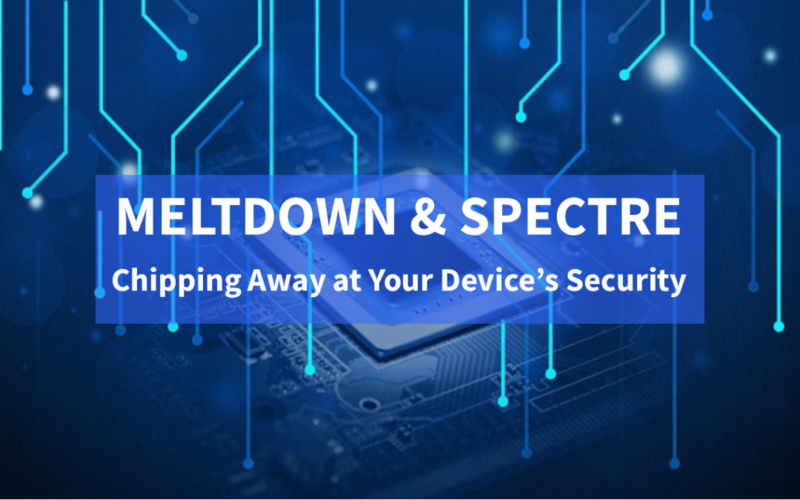 The flaws (Meltdown, which only affects Intel chips and Spectre, which affects all devices) are affecting processing chips created by Intel, AMD and ARM Holdings. So how does that impact you? If you use any device, whether it be a desktop, laptop, smartphone or cloud service from Apple Google, Amazon or Microsoft, then you might be at risk for having your sensitive information compromised. People often gravitate towards Apple products due to their increased security, however, Apple has released a statement saying that ALL iPhones, iPads and Macs are affected by the chip flaws, which means that if you own an Apple product, you still need to be taking the proper precautions in order to prevent the hackers from exploiting the chip flaws. Apple is actively taking steps in order to protect devices against Meltdown by releasing patches in iOS 11.2, macOS 10.13.2, and tvOS 11.2 and plans to release patches in Safari to help protect devices against Spectre within days, according to an announcement on Thursday. Now that you know what Meldown and Spectre are, let’s discuss the main (and currently the only) way to protect yourself against these flaws: updating your software. Since replacing billions of chips today, tomorrow or even next week is simply not going to happen (at least not right away), patches in the form of software updates are being released, as stated earlier. These patches will fix the issue for the time being until a more permanent resolution appears. As far as updating software goes, this is a simple way to protect your information. For business owners, you should require that all of your employees update their desktops, laptops and smartphones (as many people have company email linked to their phones). However, like many quick fixes, there are issues to look out for upon updating your devices. Unfortunately, the updates have the ability to slow down your devices by as much as 30% for some activities, though Intel has stated that users should not experience these issues, experts feel that is not accurate. Train Employees – You would be surprised at the amount of people who are not familiar with technology, yet use it every day. You shouldn’t just assume that your employees know not to click on that suspicious Facebook ad or news story while scrolling through their newsfeed on their lunch break. Make sure that you train employees on how to prevent cybersecurity breaches and red flags to look out for. While it might seem unnecessary, 93% of cyber-attacks are caused by human error, so it actually is very necessary. To learn about the cybersecurity trainings offered by Preparis, click here. To download Preparis’ Information Security checklist, click here. Install Anti-Virus and Firewall Protection – Make sure that your desktop or laptop has a reliable anti-virus and firewall protection software downloaded and updated. This can help to combat any viruses that may sneak their way into your computer. 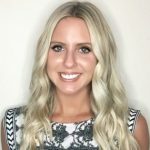 Once you get the software on your computer, it’s essentially effortless to maintain, so this is a simple and proactive approach to ensuring that your business is cyber secure. To learn more about how Preparis and how we can help ensure that your business remains cyber secure, click here to request a demo.